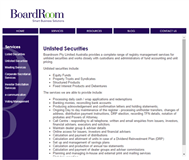 Boardroom Pty Limited has more than 25 years experience providing share registry, investor communication and voting services to Corporate Australia. Their client base ranges across many industry segments and includes a number of high profile ASX companies. They are part of the Boardroom group of companies with offices in Australia, Singapore, Malaysia, Hong Kong and China. Boardroom Pty Limited is an organisation which prides itself on innovation, exceptional service and the ability to provide a flexible approach in order to meet their clients' needs. 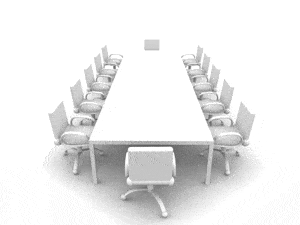 It is for these reasons that the profile of Boardroom Pty Limited is growing at a rapid rate. Boardroom Pty Limited Australia provides a complete range of registry management services for listed companies and listed securities on the Australian Securities Exchange (ASX), National Stock Exchange (NSX) and Asia Pacific Stock Exchange (APX). Ongoing Day to day maintenance of the register - changes of address, dividend/distribution payment instructions, annual report elections, notation of probates and Powers of Attorney. Call Centre - responding to all telephone, written and email enquiries from issuers, investors, brokers, executors and solicitors. Proxy solicitation services ... scheme meetings, mergers & acquisitions and capital raisings. Boardroom Pty Limited Australia provides a complete range of registry management services for unlisted securities and works closely with custodians and administrators of fund accounting and unit pricing. Ongoing Day to day maintenance of the register - processing unitholder transfers, changes of address, distribution payment instructions, DRP election, recording TFN details, notation of probates and Powers of Attorney. Call Centre - responding to all telephone, written and email enquiries from issuers, investors, financial advisers, executors and solicitors. At Boardroom Pty Limited Australia they offer their Clients a broad range of services to ensure that the AGM meetings and all other Corporate Meetings are managed with professionalism and efficiency. They understand that Clients have very different needs and Boardroom Pty Limited Australia provides a range of cost effective services designed to fulfill these meeting requirements. An important part of working with their Clients through this process is to ensure full compliance whilst maximising this opportunity to engage your security holders. 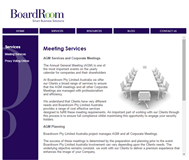 Boardroom Pty Limited Australia project manages AGM and all Corporate Meetings. The success of these meetings is determined by the preparation and planning prior to the event. 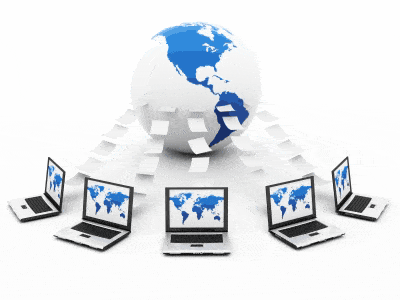 Boardroom Pty Limited Australia involvement can vary depending upon the Clients needs. The underlying objective remains constant, they work with their Clients to deliver a premium experience that enhances the image of your Company. Their services are focussed on providing cost effective, flexible professional services to allow companies to effectively manage their corporate secretarial obligations though a trusted and established partner. They have extensive experience in providing corporate secretarial services, and currently have over 3000+ corporate secretarial clients across Asia. As experienced governance professionals, their staff offer a wealth of corporate secretarial and governance understanding and knowledge to their clients. At Boardroom Pty Limited, they understand the importance of successful investor participation in Corporate Actions & Capital Raisings. Participation levels can dramatically change the course and outcome of such events. Experience shows that a Company can substantially increase investor participation levels with a tailored & focussed solicitation campaign being implemented. 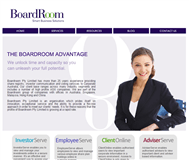 Boardroom will ensure that the message gets to the right targets. Focussed solicitation increases the ability for investors to understand & therefore act upon the corporate action. Canvassing & communicating with shareholders at crucial times can produce the voter influence needed to make the difference between a successful or disastrous outcome. e-communication does not create a new process – merely another way to do something they already do. Boardroom Pty Limited's e-communication capabilities now allow you to communicate with your investors in a more efficient and cost effective way. To ensure success, their approach is built around understanding your audience and needs then developing a long term strategy that meets your objectives. Boardroom offers the complete range of professional voting management services that ensure ballots are conducted in a legally compliant, secure and robust environment for all types of organisations in both the Government and Private/Corporate sectors. Boardroom is an independent and neutral organisation with a team whose election management expertise and returning officer experience spans over 20 years.